Just thought I'd let you see how big Sam is getting. It just seems like yesterday that she was eight. Now she's 13 and growing like mad. 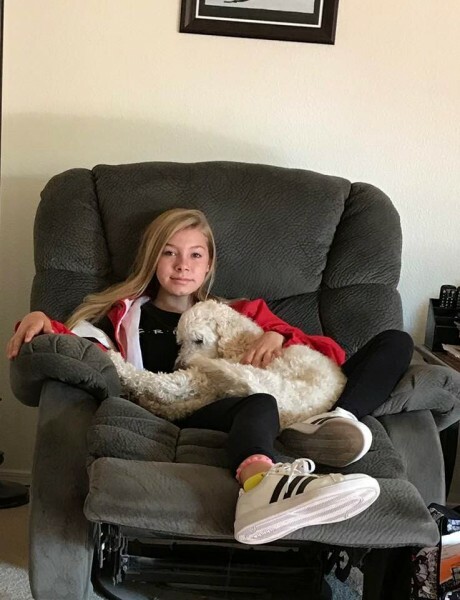 Here is a pic of her with her dog, Lily. oh gosh, good luck with that! LOL!